Eyelid primers were never something I really raved about as I was yet to find one that worked for me. 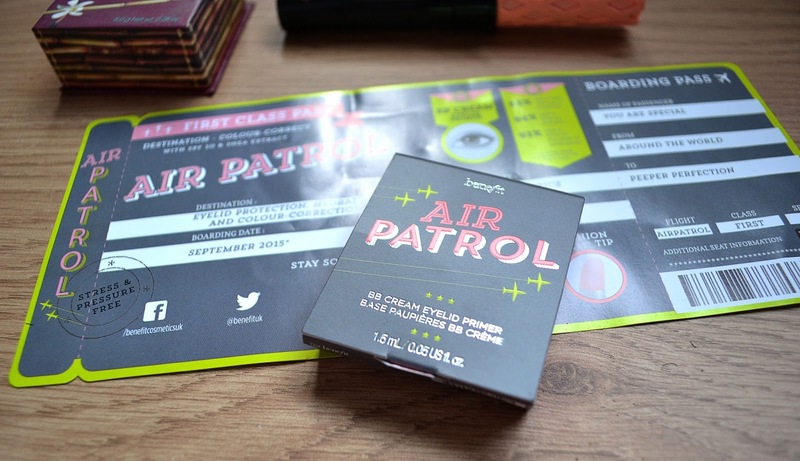 That was until I heard about the release of Benefit's Air Patrol! A couple of weeks later my sample arrived and OMG, the packaging... I can't, honestly, Benefit get it so right every time! It arrived with a little boarding pass containing brief information about the product, which I really think is the cutest thing ever as I am a sucker for quirky packaging. 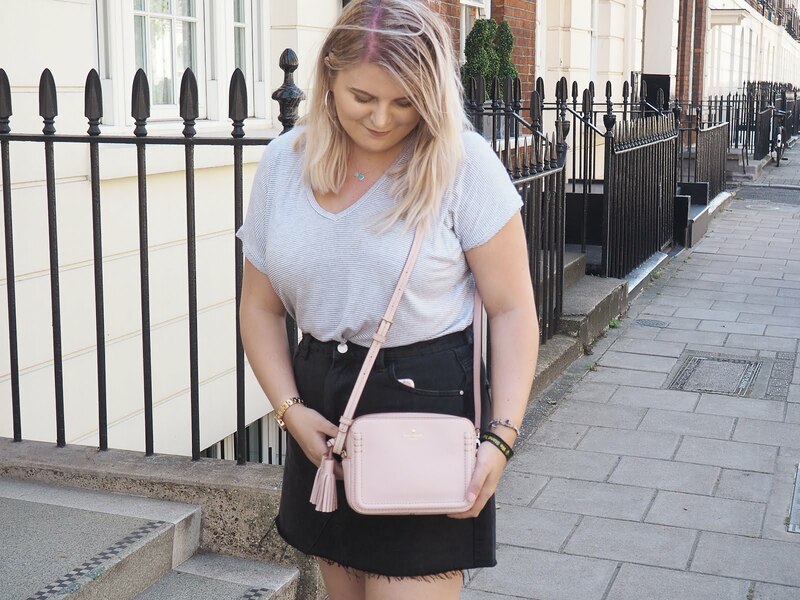 The product is described as a "BB Cream Eyelid Primer" which claims to lock on eyeshadow, hydrate and colour correct as well as containing SPF 20, always important! I can't say I have noticed a difference in terms of colour correcting, but my gosh, it is a brilliant primer. For someone who has naturally very oily eyelids, wearing eye make up can be an utter nightmare for me some days. I end up with eye-liner imprinting on my brow bone and my shadows just look greasy, not cute. Air Patrol has completely changed that for me, I wear it under my eye make up most days now and nothing budges, it's a miracle! The only marks left on my brow bone are from my mascara, the only downside to having long eyelashes, oh the struggles. As it is only a sample, I don't think it's going to last me for very long, meaning I will need to get my hands on the full sized product ASAP - mainly so I can try the cushioned tip, don't judge me. 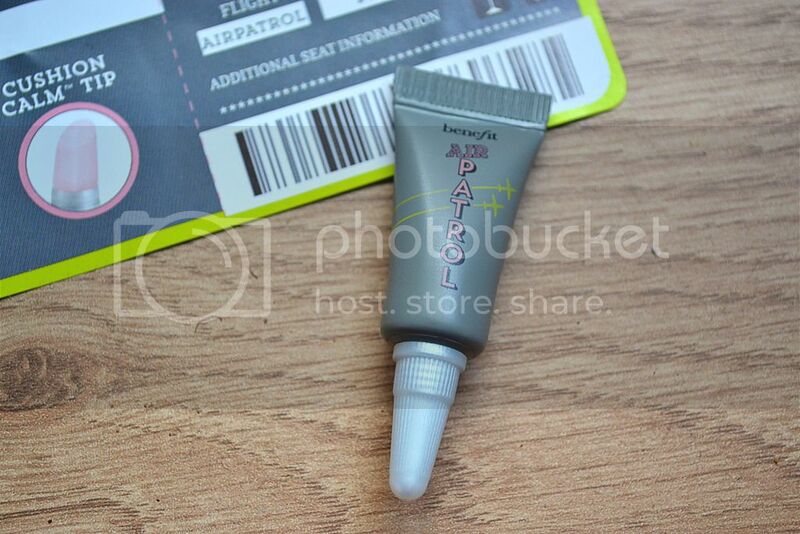 If you struggle with finding an eyelid primer that combats oiliness, I would absolutely recommend trying a sample of Air Patrol, it makes such a difference! 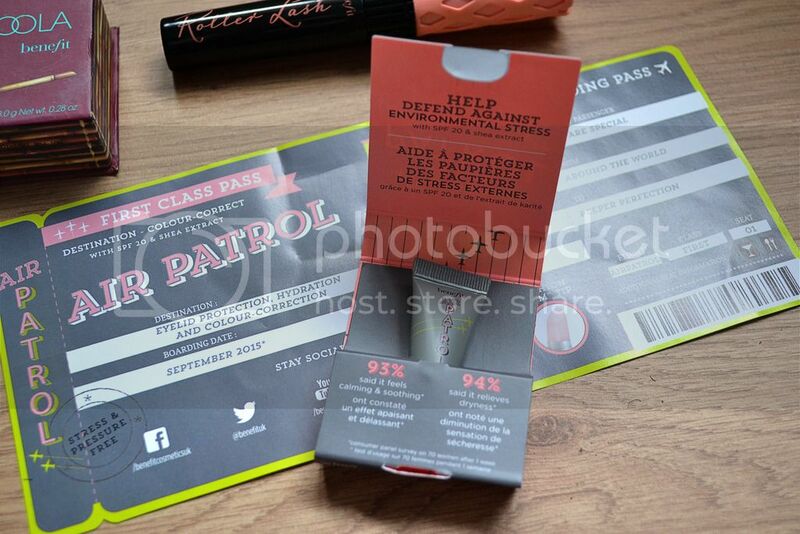 Have you tried Air Patrol? If so, what are your thoughts? Haha too bad I have the complete opposite opinion about this than you! I also blogged about my thoughts on this, versus the UD primer (cult classic eh) and I really don't like the Benefit one - I have oily lids too, and this really doesn't last on me :( the most it does is 2-3 hours, and then everything just melts into an ugly blackpool on my eyes. I'm glad it works for you though, and that little sample will probably last you a while! I have been wondering about this product for a while and been waiting to find a review on it, sounds great, may be worth a try! It's definitely worth trying, try and get your hands on a sample if you can! This sounds amazing! Deffiently going to try this out! I am not one to wear primers, though this does sound amazing! I never used to be fussed about primers but now it's just an essential, although there are days where I do forget it. You should try one! Eyeshadow prime is the one thing I haven´t gotten into yet. I´ve heard so many great things about many of them but I always think I don´t need them. Usually my eyeshadows don´t crease anyway. Well, at least they didn´t until a few weeks back. Now even my foundation creases on my eyelids. Like how?! So this is one of the things I´ll definitely check out! Gutted I missed this. Looks great. I definitely need to try this one out! I too got the free sample but haven't used it yet as I've been using my Urban Decay primer - must give it a try although I've never got on with BB creams.